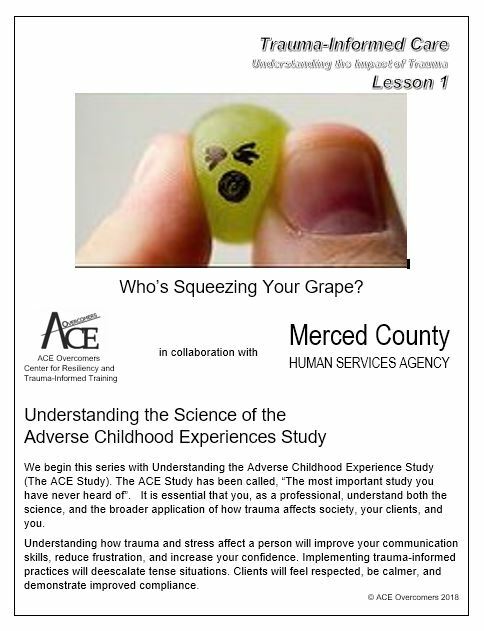 ACE Overcomers is the lead provider of training on trauma and trauma informed care in California’s Central Valley. We provide training’s open to the community on a regular basis at our facility, as well as on-site specialized training for a wide range of educational, social service, human service, health and behavioral health care professionals. This course provides the foundation for supervisors and support staff to understand the impact of trauma on clients, patients and the workplace. It is important for each institution and agency to become trauma informed because of the growing evidence base documenting the impact of child neglect and abuse (as well as other forms of trauma) on health, mental health and behavior. Behavioral Health and Human Service professionals who become trauma informed have a greater understanding of the behaviors that often result from a history of trauma and develop new skills for responding to these behaviors. 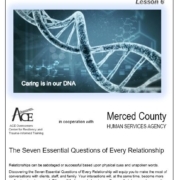 Trauma-informed care is an approach used to engage people with histories of trauma. It recognizes the presence of trauma symptoms and acknowledges the role that trauma can play in people’s lives. Trauma-informed Behavioral Health and Human Services responses can help to avoid re-traumatizing individuals. Providing behavioral health and human services to individuals who have experienced trauma calls for an approach that takes into consideration their trauma histories. This training is designed for professional behavioral health and human services providers to help them decide if their services are trauma-informed and how best to deliver and design those services using evidence-based, evidence-informed, and innovative practices most relevant to their needs. Partnerships across systems can also help link individuals to trauma-informed services and treatment. 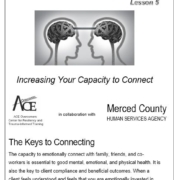 This highly interactive training is specifically tailored to community-based behavioral health and human service professionals, including supervisors, front-line staff, social workers, and case managers. Become a Certified Instructor of the Building Healthy Life Skills Curriculum. 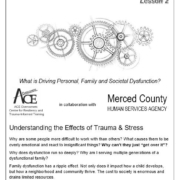 This evidence-based curriculum remediates the effects of adverse childhood experiences (ACEs) which are prevalent among incarcerated populations. You will learn the science of trauma, and proven steps to retrain the brain and reset the nervous system. Discover how trauma affects clients and staff. 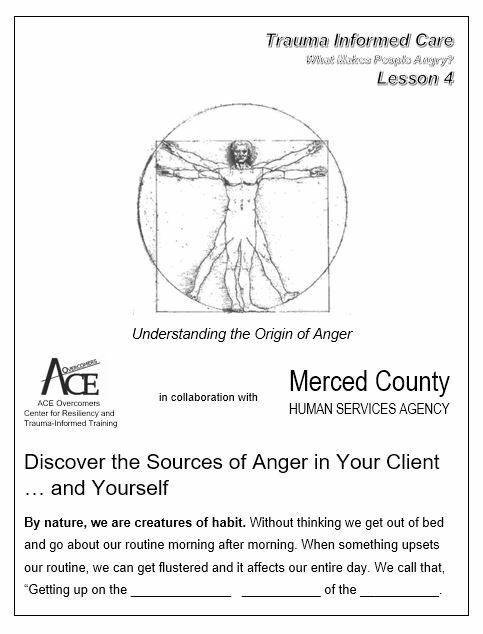 Learn the keys to self-awareness and self-regulation. Upon completion, you will be equipped to instruct the Building Healthy Life Skills Course. This course will improve the mental, emotional, and physical health of participants, and prepare them for emotional success. Define the essentials of remediating trauma. 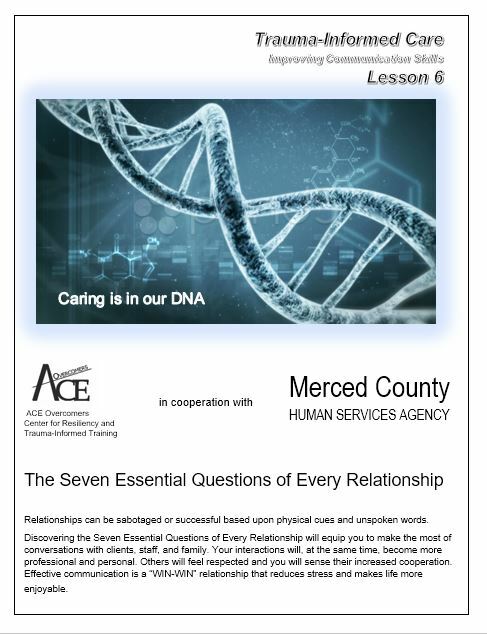 ACE Overcomers curriculum’s/program are being used in several county jails throughout California, as well as treatment programs and rescue missions nationwide. 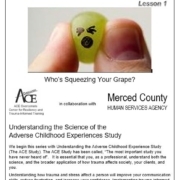 The ACE Overcomers curriculum remediates the effects of adverse childhood experiences (ACEs) which are prevalent among behavioral health and human services clients. 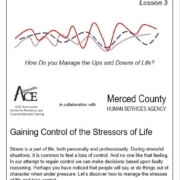 Participants learn the science of trauma, steps to retrain the brain and reset the nervous system, and keys to self-awareness and self-regulation. This course improves the mental, emotional and physical health of the participants, and prepares them for success. Discover how traumatic childhood experiences affect clients and staff. 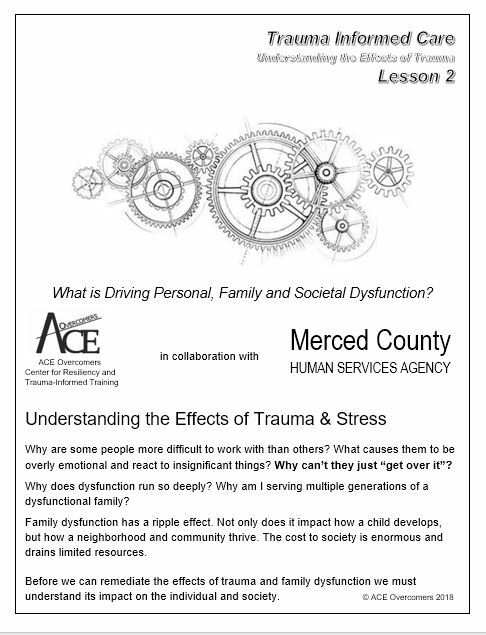 Learn how being trauma informed will improve your delivery of service and communication skills. 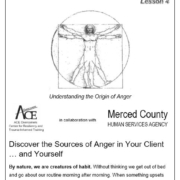 Recognize 5 sources of anger and how to deescalate tense situations. Identify root causes of depression. 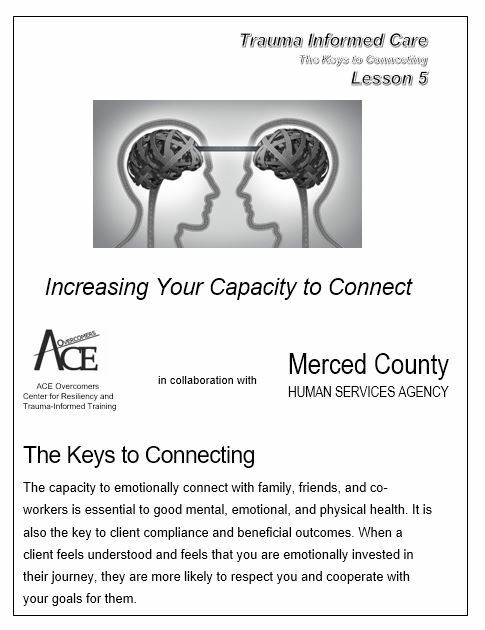 Examine keys to effective communications in your professional and personal life. 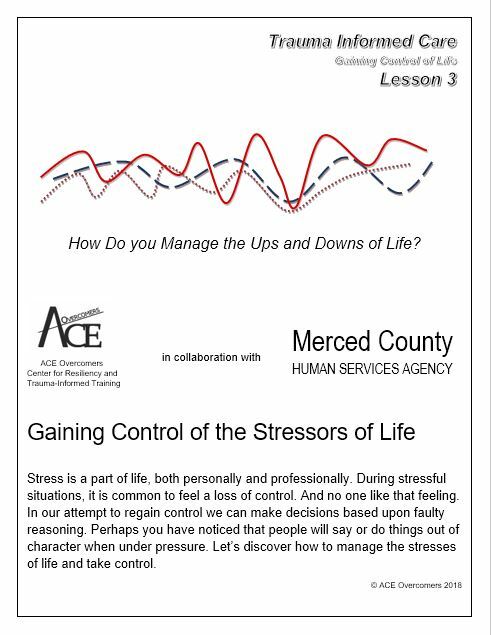 Please call our office at 209.626.5446 or email aceovercomers@sbcglobal.net for additional information about this program.